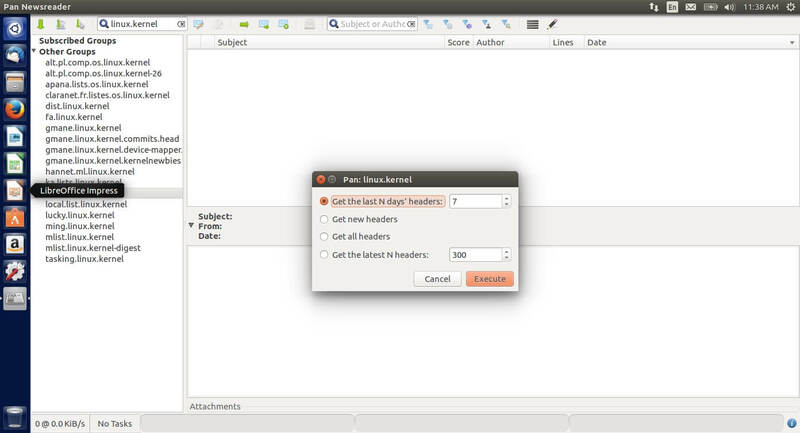 Pan is a Usenet newsreader that's good at both text and binaries. It supports offline reading, scoring and killfiles, yEnc, NZB, PGP handling, multiple servers, and secure connections. It runs on Linux, BSD systems, Mac OS X, and Windows. 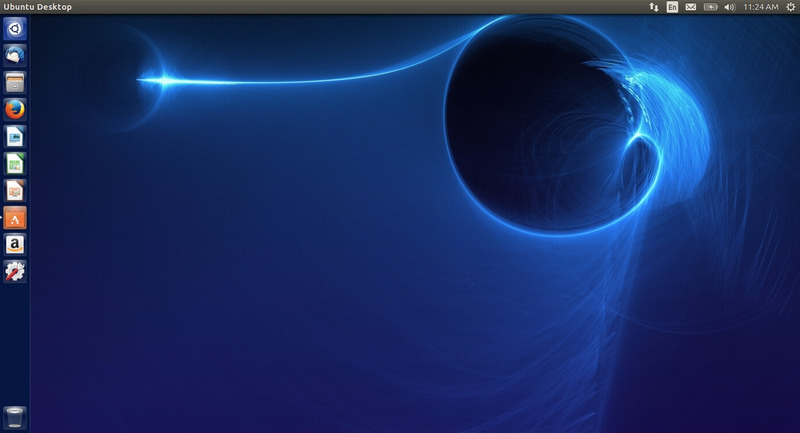 Launch the Ubuntu software manager from the left Launcher menu. After the software manager was opened search for PAN. The search results should return Pan Newsreader. Click on “Install” to begin the installation. Once the installer has finished you should be able to launch the newsreader. An icon for Pan will also appear in the Launcher menu. When Pan first opens you will be asked to “Add a Server”. Enter the following details to configure Pan with our Usenet service. Now in the left panel of Pan right click. Click on “Refresh Group List”. Pan will now connect to our servers and get the newsgroup list. 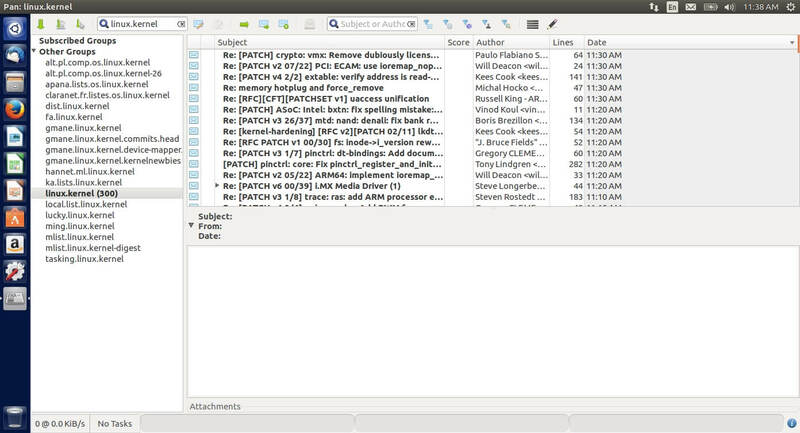 A list of the newsgroups should appear. At the top, you will be given an option to search the groups. 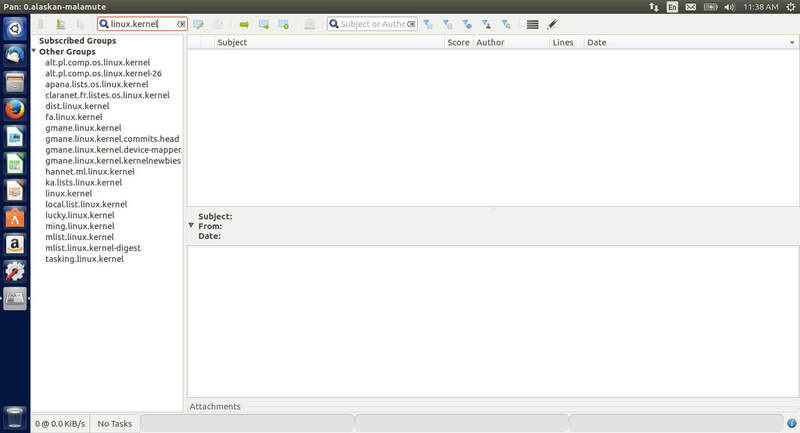 In this tutorial, we are looking for a particular newsgroup related to the Linux operating system. We’ll enter linux.kernel. 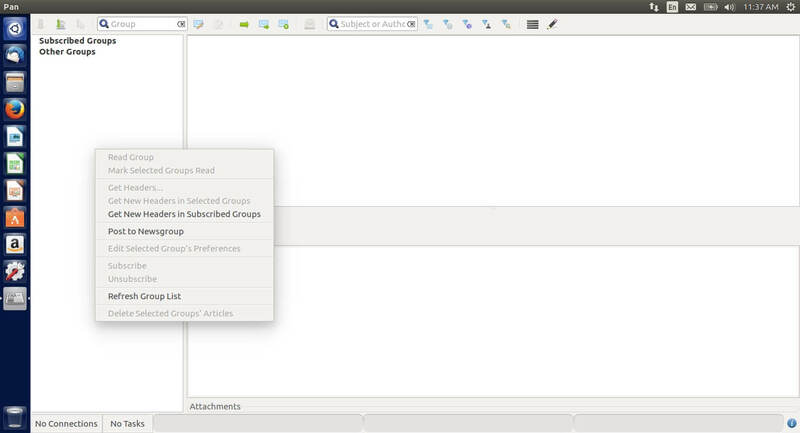 Now Pan will filter the groups and only display the newsgroups with that text. Double click the newsgroup you want to subscribe too. After subscribing to the newsgroup Pan will ask how many headers you want to download. In this example, we want to download the last 7 days. Select that option and click “Execute”. Pan will now connect to our servers and download the newsgroup headers. 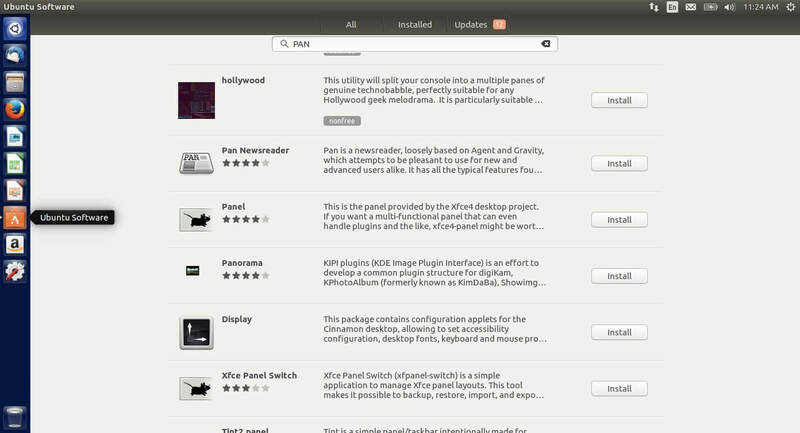 You should now see the main panel of Pan populating with the newsgroup headers. You can now browse through the newly downloaded messages here. Pan also has the functionality to download headers using an NZB file. Click on “File” at the top and select “Import NZB Files”. 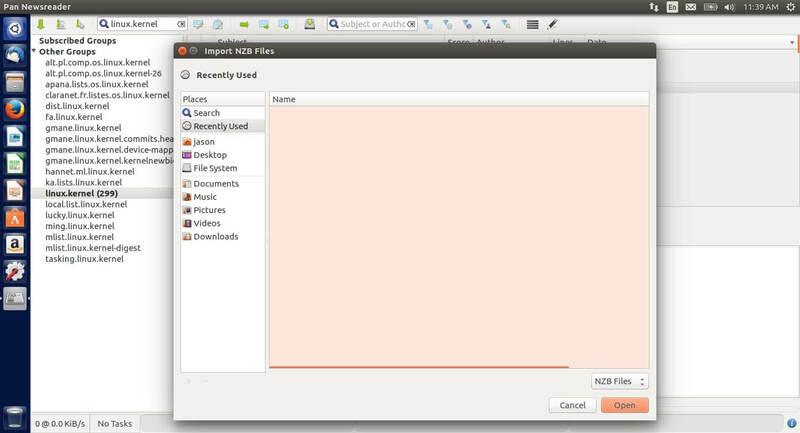 A NZB Importer will open and from here you can search your file system for the NZB file. Now that you know PAN Newsreader. Signup for Fast Usenet!